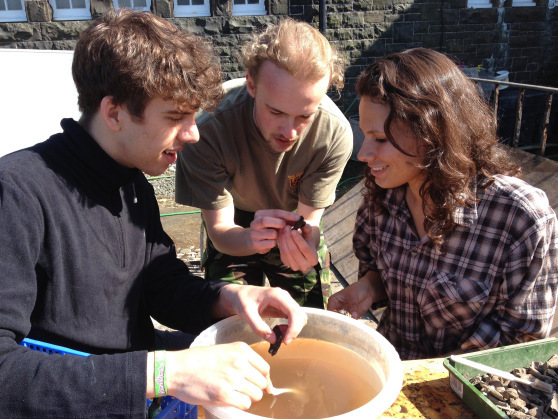 Bamburgh Castle is a multi-phase site that offers students the opportunity to gain experience of working with some of the most exceptional archaeological material currently being excavated in the north of England. We offer quality training in archaeological fieldwork with an emphasis on practical hands-on excavation and post-excavation activities. Our training is open to people of all skill-levels and abilities, with particular interests accommodated where possible. We recommend students attend for at least two weeks to get a well-rounded experience of the training on offer. Where will I be digging? 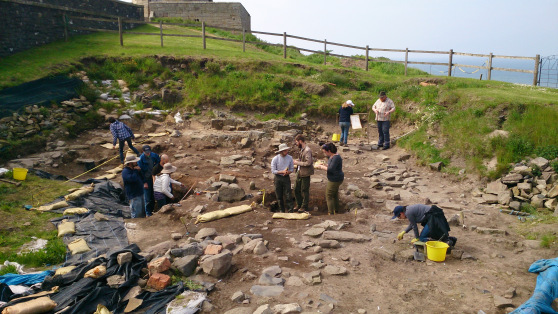 Participants will be excavating within the walls of Bamburgh Castle in Trench 3. Trench 3 is a multi-period excavation currently reaching early medieval archaeological horizons (7th-10th century, which roughly covers the Anglo-Saxon occupation of the site). Pockets of Roman material have also been recovered in recent seasons. Professional field archaeologists and post-graduate students form the core of our training staff. The BRP’s on-site Directors guide the excavation on a daily basis and ensure that the research agenda’s primary aims and objectives, set at the beginning of the season, are fulfilled. The director is supported by a Trench Supervisor, Finds Supervisor and Environmental Supervisor who are responsible for the hands-on tuition students receive each day. Our core teaching staff is supported by Assistant Supervisors and a Public Outreach Officer who will help disseminate the project’s discoveries as they happen. survey techniques, such as setting out the site grid and measuring surface levels using a dumpy level. A total station will also be in operation at certain times throughout the season but is not guaranteed. contribution towards the various paper records that allow archaeologists to describe what they see and combine all the data they gather into one coherent record. All those excavating will also be taught how to record archaeological finds as they are unearthed in the trench and will have the chance to undertake the post-excavation activities outlined below. clean and sort bulk materials such as animal bone and small finds, such as metalwork and worked bone. How do I get involved and apply?